Native to eastern Asia (i.e. China, Taiwan, Korea and Japan). 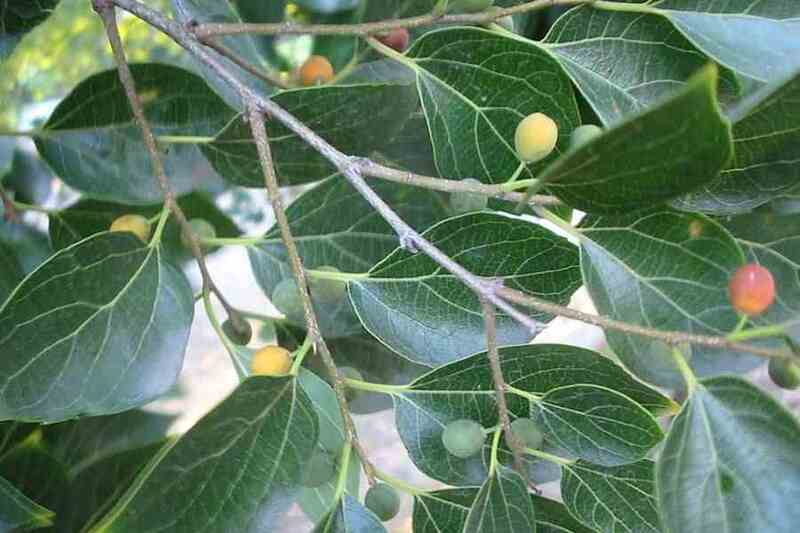 This tree was introduced as an ornamental and has been cultivated as a garden and street tree. 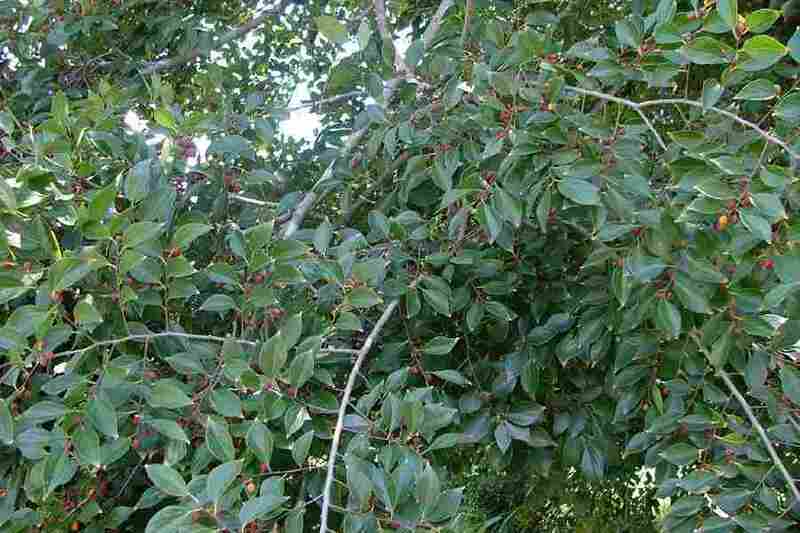 It is particularly common in the warmer temperate and sub-tropical regions of Australia. 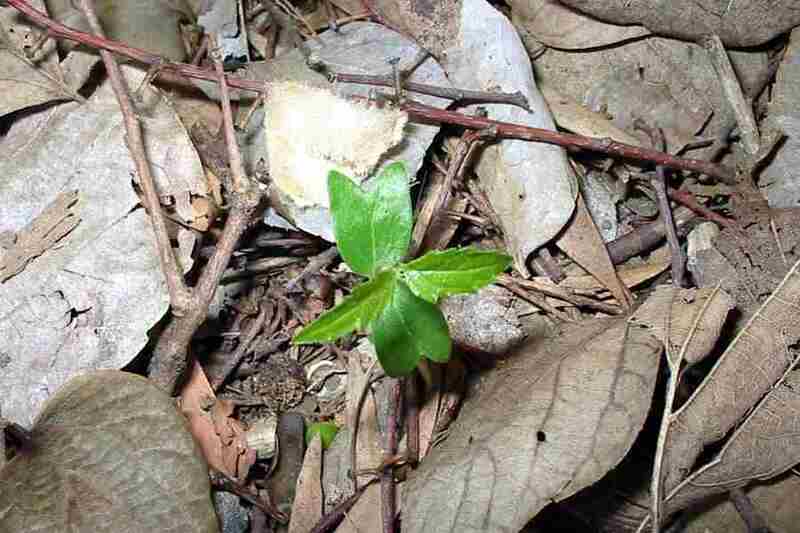 This species is naturalised in eastern Australia, where it is relatively widespread. It is common in the coastal and sub-coastal regions of south-eastern and central Queensland and in north-eastern New South Wales. Also recorded in other parts of Queensland and New South Wales. Also naturalised in southern Africa and New Zealand. 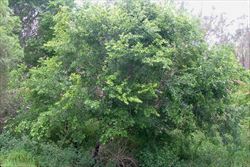 Chinese celtis (Celtis sinensis) is a weed of waterways and riverbanks (i.e. 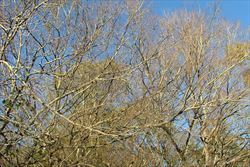 in riparian areas), roadsides, urban bushland, open woodlands, rainforest margins, waste areas, disturbed sites, parks and gardens in sub-tropical regions. 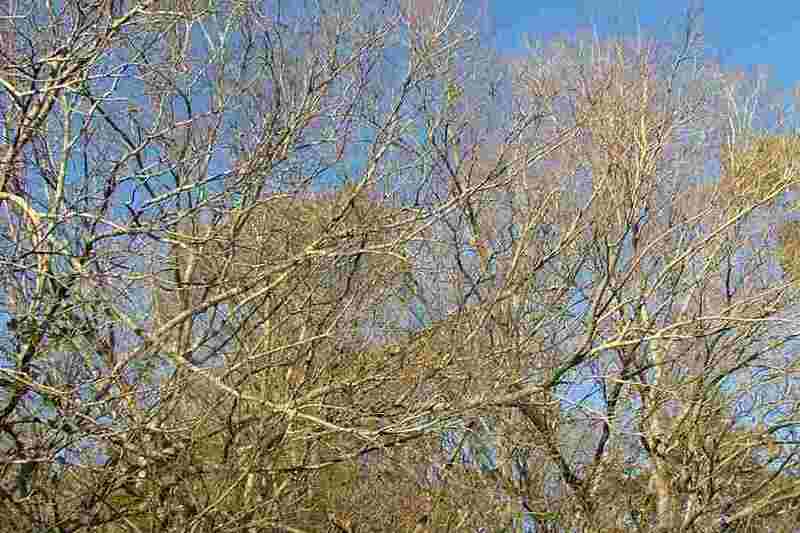 A large spreading tree growing 10-30 m tall, and usually losing its leaves during winter (i.e. 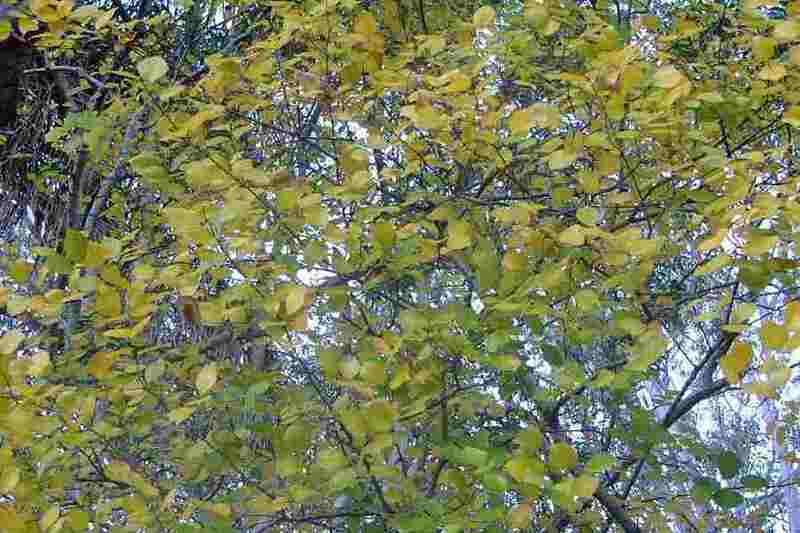 it is deciduous). 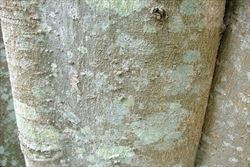 a large spreading tree with smooth greyish-coloured bark. its alternately arranged leaves have glossy upper surfaces and bluntly toothed margins (in their upper halves). its flowers are small, with inconspicuous petals and a feathery stigma. 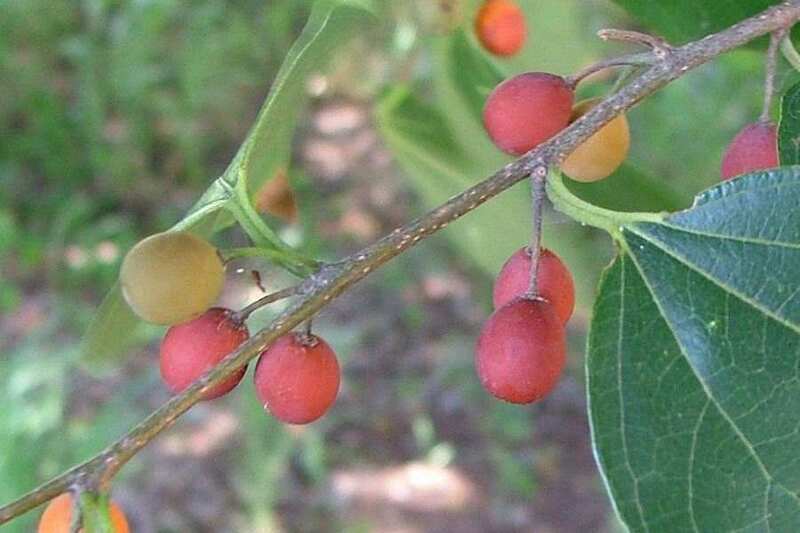 its small (7-9 mm across), rounded, berry-like fruit turn from green to orange and then red as they mature. older fruit eventually turn brown in colour and have a wrinkled appearance. The two seed-leaves (i.e. cotyledons) are oppositely arranged and have deeply indented tips (i.e. emarginate apices). 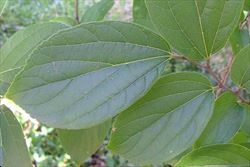 They are followed by the first pair of true leaves, which are similar in appearance to the adult leaves though slightly smaller. As they seedlings grows their stems often develop a zig-zagging appearance (i.e. they are flexuose). 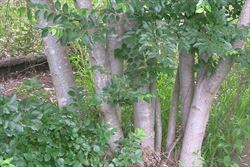 The mature branches and trunks are greyish in colour with a mostly smooth bark. Younger stems have a somewhat zig-zagged appearance (i.e. 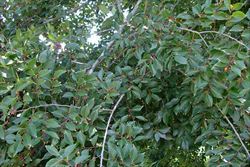 they are flexuose) and are green or pale brown in colour. 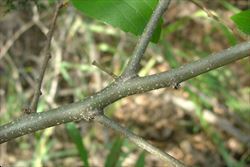 These stems have a relatively rough surface texture, and are sparsely covered in small whitish spots (i.e. lenticels). They are hairless (i.e. glabrous), or slightly hairy (i.e. puberulent) on very new growth. 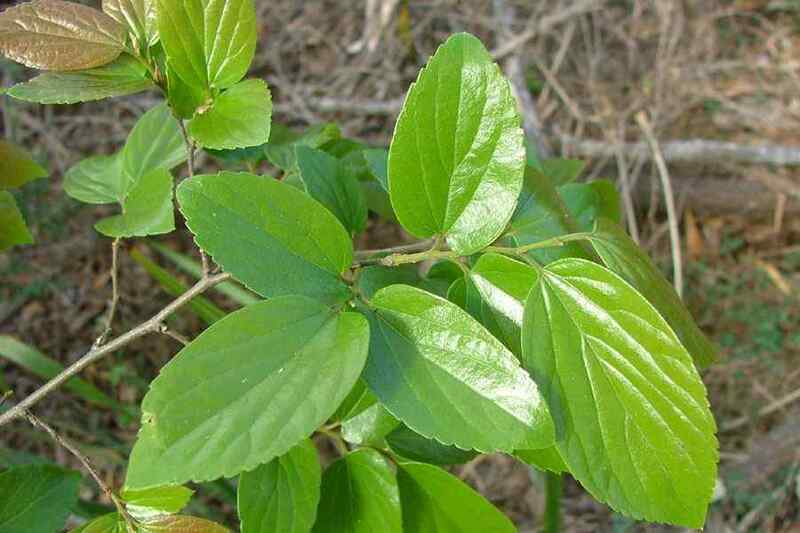 The leaves (4-10 cm long and 3-6 cm wide) are alternately arranged along the stems and borne on stalks (i.e. petioles) 5-10 mm long. They are egg-shaped in outline (i.e. ovate) and taper to a pointed tip (i.e. acute or acuminate apex). 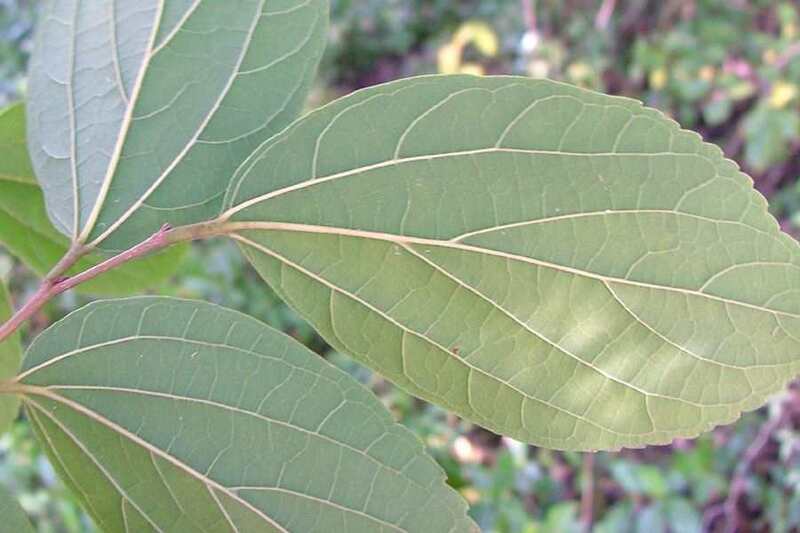 These leaves have three main veins at the base and bluntly toothed (i.e. crenate) margins (particularly in the upper half). 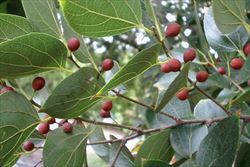 The upper leaf surface is smooth, glossy and hairless (i.e. glabrous), but may become slightly rough to the touch (i.e. scabrous) as the leaves age. 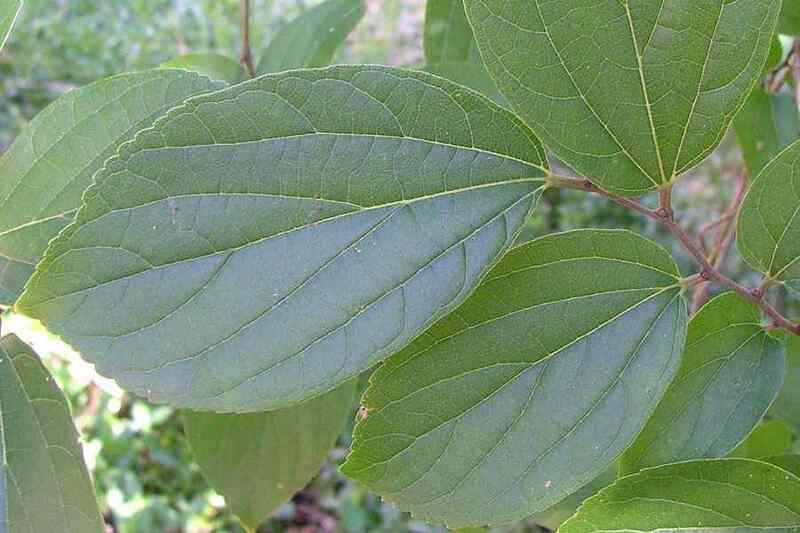 The lower leaf surface is slightly paler and either hairless (i.e. glabrous) or slighty hairy (i.e. puberulent). 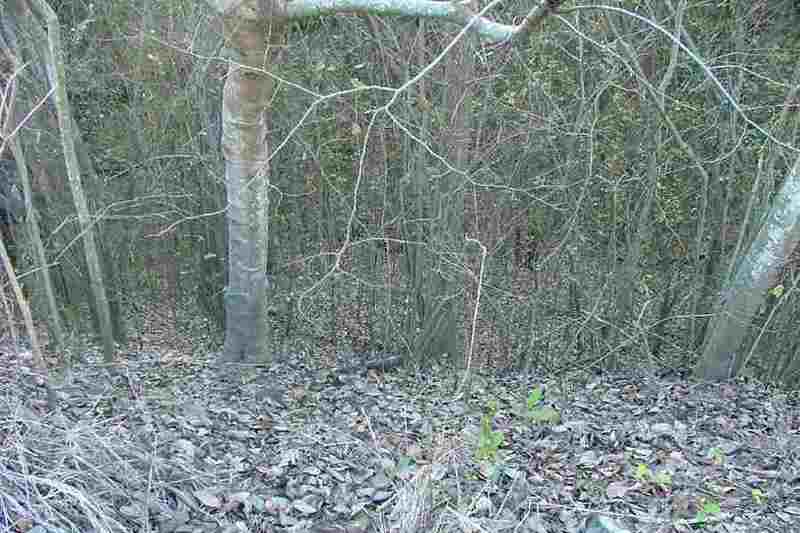 The small greenish-coloured flowers are only present for a brief period during late winter or early spring. They are borne on stalks (i.e. peduncles) 4-12 mm long and may be either male (i.e. staminate) or have both male and female parts (i.e. bisexual). Each of the bisexual flowers has four tiny 'petals' (i.e. tepals or perianth segments) about 2 mm long, four yellowish stamens, and a green ovary (1.5-3 mm long) topped with a velvety hairy stigma. This stigma has two spreading arms and is usually whitish in colour. Male flowers lack the ovary and stigma, and tend to be produced in short clusters away from the branch tips, while bisexual flowers are produced in groups of one to three in the leaf forks (i.e. axils) near the tips of the branches. The small fruit (7-9 mm across) are somewhat fleshy and berry-like in appearance, but are actually single-seeded drupes with a hard centre. They are rounded (i.e. globular) or egg-shaped (i.e. 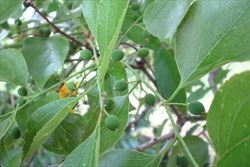 ovoid) and are bright green when immature. These fruit turn yellowish, dark orange, and then reddish in colour as they mature, and older fruit eventually become reddish-brown or brownish in colour and often develop a somewhat wrinkled appearance. The stony seed is white, somewhat rounded (i.e. globose or sub-globose), and has a network-patterned (i.e. 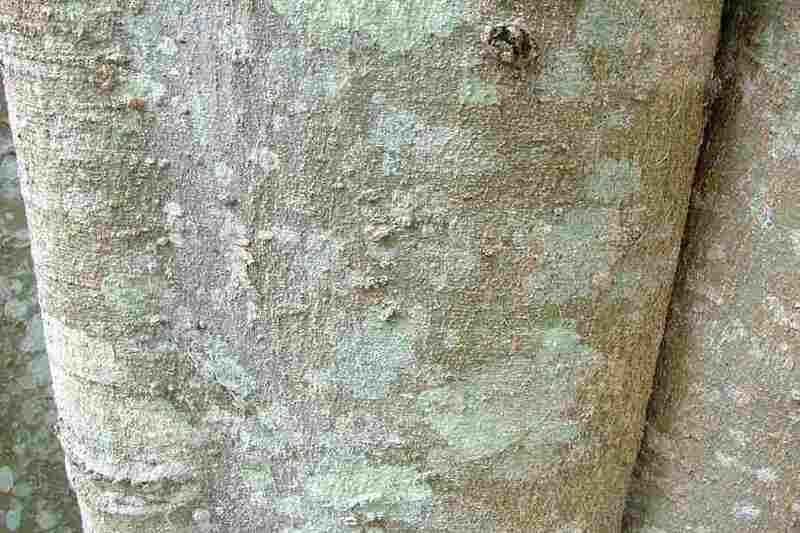 reticulately foveolate) surface texture. This plant reproduces mostly by seeds, but also produces suckers. Its seeds are usually dispersed by animals (e.g. birds and flying foxes), by water movement, or in dumped garden waste. 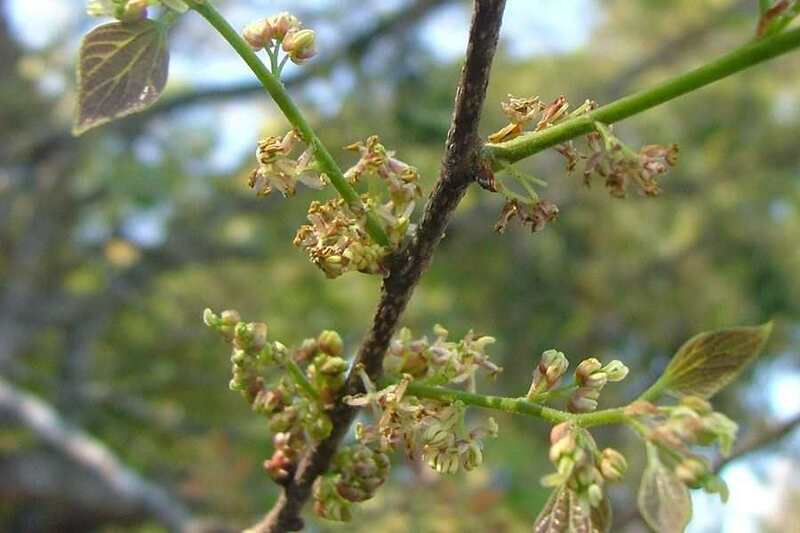 Chinese celtis (Celtis sinensis) is a significant environmental weed in New South Wales and Queensland, and was recently listed as a priority environmental weed in two Natural Resource Management Regions. It is most common and widespread in south-eastern Queensland, where it is actively managed by community groups, and a recent assessment listed it as one of the top ten environmental weeds in this region. 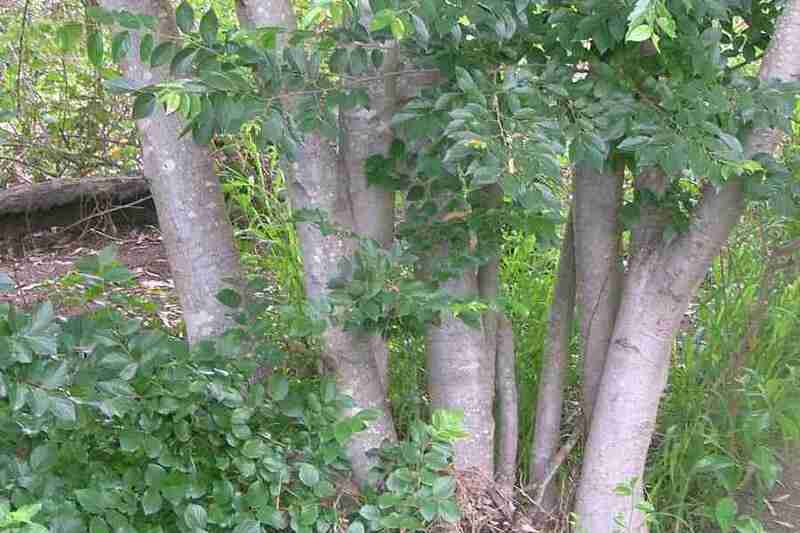 It is a fast-growing tree that appears to favour clay soils associated with alluvial floodplains, creeks and gullies. 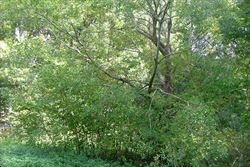 It forms dense infestations, particularly along creek banks (i.e. 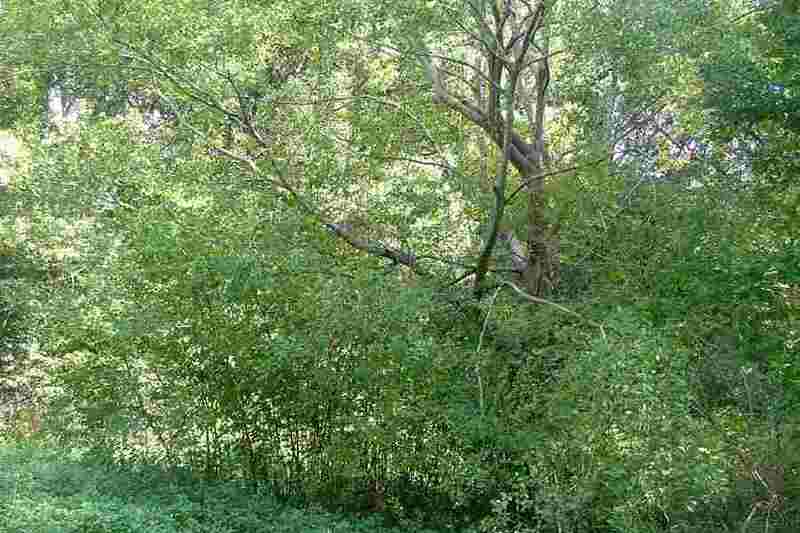 in riparian areas), and prevents the regeneration of native vegetation. 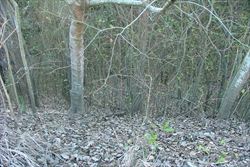 It also invades open areas within forests that have been cleared or otherwise disturbed. Dense infestations of this species use large amounts of water and also have the potential to affect populations of native animals through habitat destruction. New South Wales: Class 3 - a regionally controlled weed. 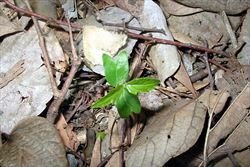 The relevant local control authority must be promptly notified of the presence of this weed and it must be fully and continuously suppressed and destroyed (in the Ballina, Bellingen, Byron, Clarence Valley, Coffs Harbour, Gloucester, Great Lakes, Greater Taree, Kempsey, Kyogle, Lismore, Nambucca, Port Macquarie-Hastings, Richmond Valley and Tweed local authority areas). 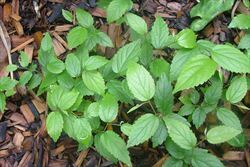 Queensland: Class 3 - this species is primarily an environmental weed and a pest control notice may be issued for land that is, or is adjacent to, an environmentally significant area (throughout the entire state). It is also illegal to sell a declared plant or its seed in this state. Western Australia: Prohibited - on the prohibited species list and not permitted entry into the state. Chinese celtis (Celtis sinensis) has relatively broad leaves with bluntly toothed (i.e. crenate) margins (particularly in the upper half) and dark orange or reddish-brown coloured berry-like fruit (i.e. the fruit is a drupe). 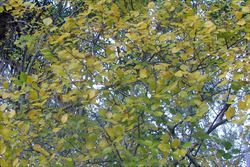 Chinese elm (Ulmus parviflora) has relatively narrow leaves with finely toothed (i.e. crenulate) margins and dry fruit that have a flattened wing (i.e. the fruit is a samara). nettle tree (Celtis australis) has narrow to relatively broad leaves with sharply toothed (i.e. serrate) margins and dark purplish or almost black coloured berry-like fruit (i.e. the fruit is a drupe). hackberry (Celtis occidentalis) has relatively broad leaves with sharply toothed (i.e. 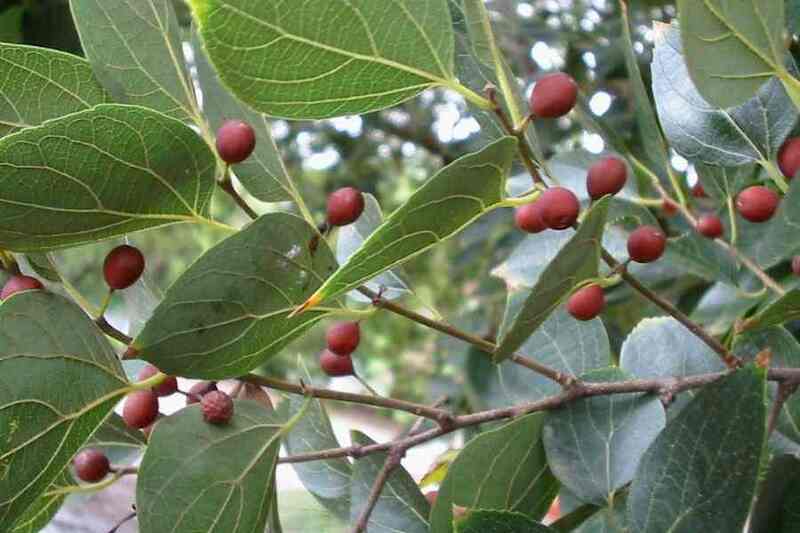 serrate) margins and orange-red or dark purplish coloured berry-like fruit (i.e. the fruit is a drupe). 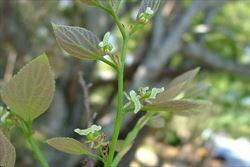 silky celtis (Celtis paniculata) has leaves with entire margins and blackish-coloured berry-like fruit (i.e. the fruit is a drupe).